If you go into autopilot when picking up a bottle of white wine and get the same thing time after time, try altering your course and checking out-or revisiting-some different and delicious white wines. It’s always fun to experiment and perhaps show up at a dinner party with a bottle of something other than your usual Chardonnay in hand. Sure, that is the most popular type of white wine in the U.S., but you can either deviate just a little and pick up French Chablis or Pouilly-Fuissé-which are made with Chardonnay grapes-or try something farther off the beaten path. Here are a few ideas to get you started, and our helpful staff is always willing to offer additional suggestions in the store. Chablis: Located in the Burgundy region, the village of Chablis lends its name to one of the most famous white wines of France. Chardonnay grapes are used to make this brisk and fruity, very dry wine that has refreshing acidity and is known for having a flinty or mineral quality and aromas of nuts and butter. Generally made using stainless steel tanks rather than aging in oak barrels, the wines are crisper than other Burgundy area whites. True Chablis comes only from France. Chenin Blanc: You hear about acidity in tasting notes, but what does it do for a wine? In the case of Chenin Blanc, a grape variety that has high acid content, it is what gives this wine structure and allows its aromas and flavors to come through without being dull and flat, or “flabby.” Its dry styles are zippy and its sweet styles are fresh. Chenin’s bite of acidity mellows with age, and after a few years in bottle the wine can develop a honeyed softness that relieves some of the dryness. Some of the best come from Chenin’s homeland in the Loire Valley, France, specifically in the appellations of Vouvray, Savennières, Anjou and Saumur. Whether dry or sweet, Chenin from the Loire has concentrated rich honey fruit with a refreshing vibrant acidity. South Africa is also a spot to look to for this wine, where it is also known as Steen. 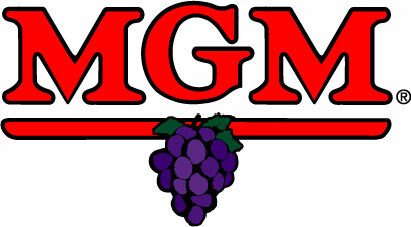 In California, some fine examples are produced in the temperate Clarksburg AVA near Sacramento. Pouilly-Fuissé: Mâconnais in France’s famous Burgundy region southeast of Paris, is home to the two distinct villages of Pouilly (poo-yee) and Fuissé (fwee-SAY), which joined forces in 1931 to form this wine appellation. This large area produces quality white wines made from Chardonnay grapes. 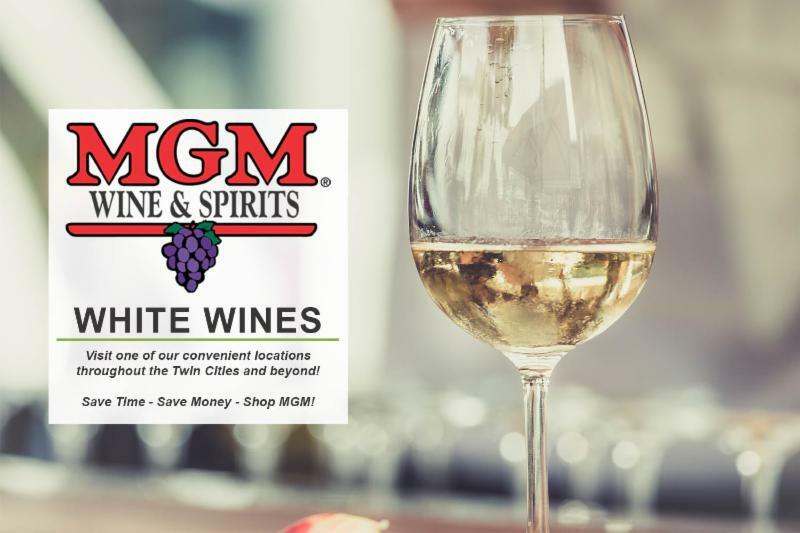 The wines tend to have a rich, ripe flavor that can be described as having notes of apple, peach, pineapple or spice with an underlying minerality. Sancerre: Located 120 miles south of Paris in France’s picturesque Loire Valley, the Sancerre (sahn-SEHR) region’s white wine is made from Sauvignon Blanc grapes. This crisp, dry white has a robust aroma and is fresh and fruity with herb and gooseberry characteristics. Look for wines from the villages of Bué, Chavigno, Ménétréol and Verdigny. Torrontés: The hottest thing to come out of Argentina since Malbec and certainly worth a try. The country’s signature white wine, Torrontés (tor-ron-TESS) is generally lighter in style than Chardonnay or Sauvignon Blanc. It is floral and fruity with distinctive peach, apricot and a touch of citrus, yet still quite dry with a smooth texture and mouthfeel. It’s produced in Mendoza, Argentina’s preeminent wine region, and the finest examples come from farther north, in the province called La Rioja and, better still, from high in the foothills of the Andes in the Salta province. Viognier: Plantings of the Viognier (vee-oh-NYAY) grape have increased in recent years. This fruit is difficult to grow but produces a delicious white wine with depth of character and complex flavors. It is best known for its apricot, peach and spice flavors, high alcohol content, low acidity, and can be described as soft yet strong with a full mouthfeel. In the last couple decades a handful of California growers have planted Viognier. The U.S. has been the largest wine-consuming nation in the world since 2010. California’s 229 million cases shipped within the U.S. in 2015 represent a 60 percent share of the U.S. wine market according to the Wine Institute. 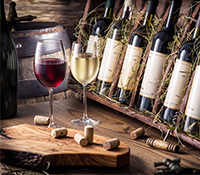 These versatile wines pair with a wide range of food including grilled fish, fish with rich and hearty sauces, shellfish, chicken, pasta, salad and medium to strong-flavored cheeses and semi-soft cheeses including Chèvre (goat cheese). 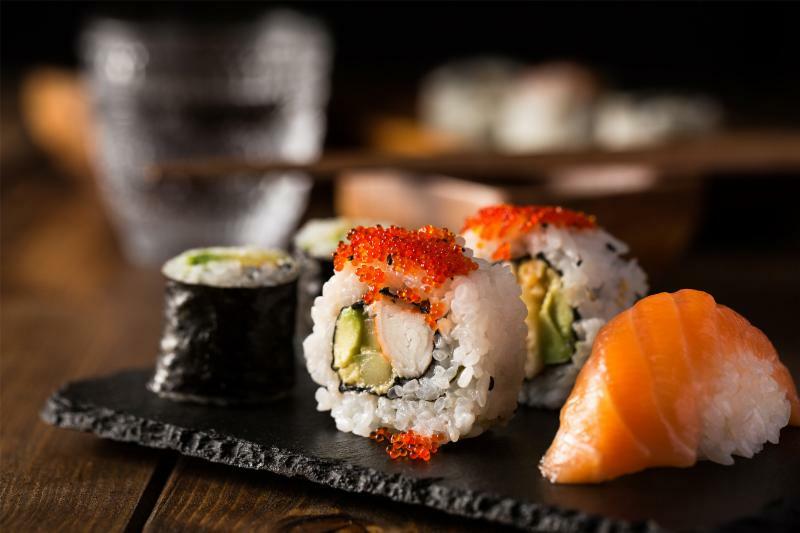 They complement Chinese and Japanese food including sushi, Indian and Thai fare and spicy Mexican dishes with guacamole. Dry styles of Chenin Blanc match full-flavored fish and curries as well as pork, and chicken, especially barbecued or in a cream sauce. Try Pouilly-Fuissé with shellfish and oysters, and cheese such as Gruyère. Sancerre also pairs well with pork, roast beef and ham. Bottle-matured Chenin is a good match with ripe Brie and Camembert. And the sweeter styles top off a meal alongside fruit desserts or tarts. Enjoy Torrontés with a range of food from mild or medium-strong cheeses to smoked meats. Citrus fruits (especially lemon) harmonize with Torrontés so a squeeze of lemon atop that fish or chicken would make a good match even better. For another pleasing pairing, try a splash of white wine in the pan when reducing the sauce in the following recipe (step 4) and pair with one of your new favorite white wines. 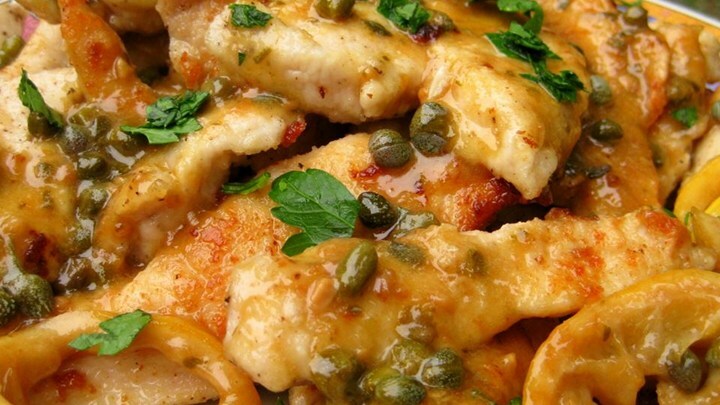 This delicious chicken dish is exquisite and easy to prepare. The light and luscious lemon sauce really pops without being too acidic. Serve it with herb-roasted potatoes or lemon-rice pilaf. Preheat oven to 200°F. Place a serving platter into the oven to warm. Season the chicken breast pieces with salt and pepper and dredge them in flour. Shake off excess flour. Heat the vegetable oil in a skillet; pan-fry the chicken pieces until golden brown on both sides, about 3 minutes per side. Work in batches and do not crowd skillet, adding oil as needed. Place the chicken pieces onto the warmed platter in the oven. When finished with all the chicken, drain most of the oil from the skillet, leaving a thin coating on the surface of the pan.